How to Use 1. Hair Oil – Squeeze around 4 to 6 gms of the oil onto your palm. Dip your fingertips in it and gently massage in circular motions throughout your scalp. Leave it in for 15 to 20 mins . 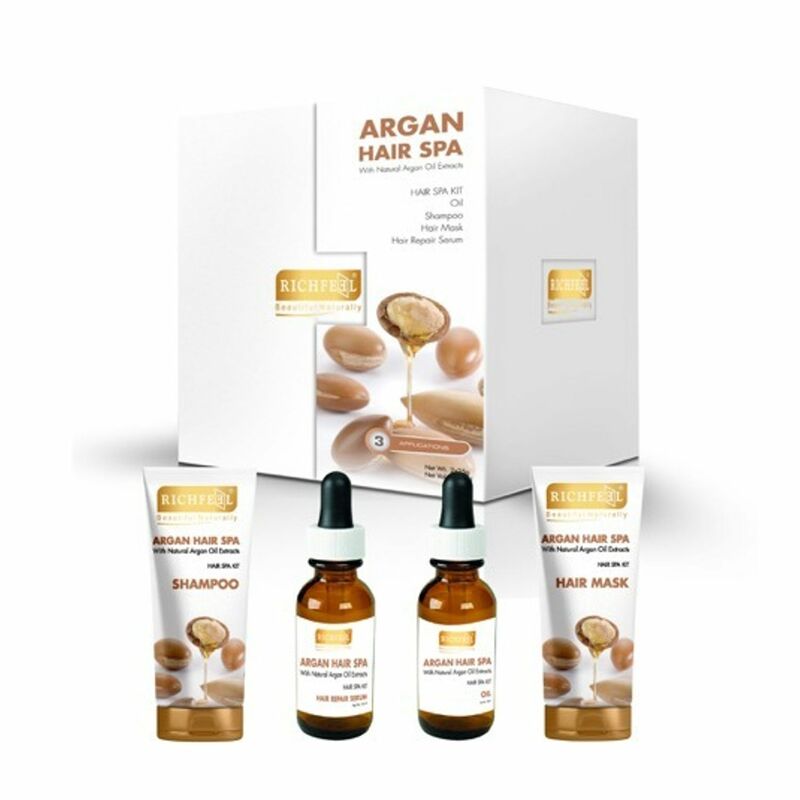 Wash with Argan shampoo. 2. Shampoo- Work 8 to 10 gms of the shampoo into your scalp, massaging gently with your fingertips for a full minute. Then rinse thoroughly and repeat if needed. But don’t stop there – follow up with our amazing Argan Hair Mask for utter hair conditioning. 3. Hair Mask – After shampooing, squeeze any excess moisture out of your hair, leaving it damp but not drenched. Apply 10 to 12 gms of the nourishing mask evenly through the lengths and ends of your hair. Leave it for at least 10 to 15 minutes. Then rinse thoroughly with lukewarm water. Your hair will be left soft, manageable and shiny. 4. 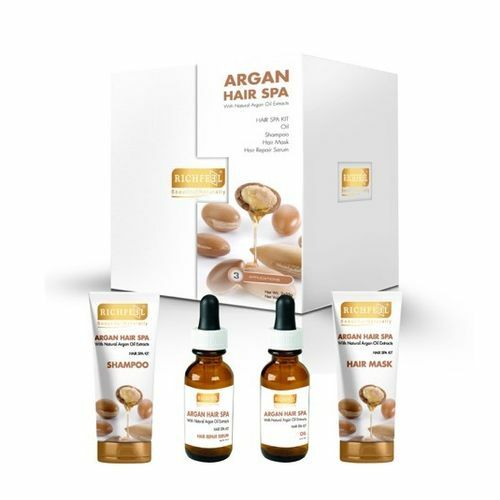 Hair Repair Serum – Squeeze 2 to 3 ml of the serum into your hands and distribute evenly through the mid lengths to the ends of your hair. Experience a soft, shiny & healthy hair. Do NOT rinse. You can add it to the ends of hair after styling for extra conditioning and frizz control.